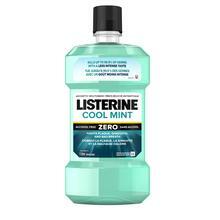 LISTERINE COOL MINT® Antiseptic Mouthwash is rated 4.7 out of 5 by 234. 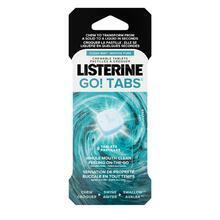 LISTERINE® Antiseptic Mouthwash has a rich heritage. No other brand can compete with its long-lasting, germ-killing career. 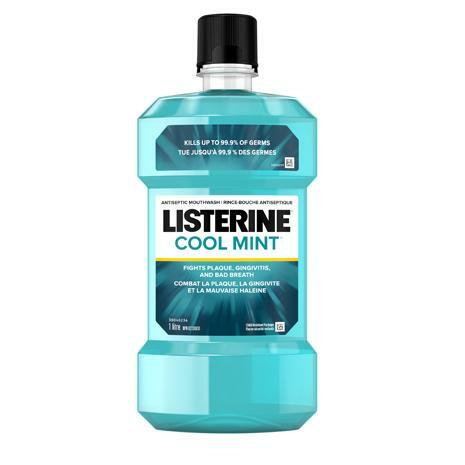 Try it in this refreshing COOL MINT® variety to prevent and reduce gingivitis and plaque. Adults and children 12 years and older: Rinse full strength with 20 mL for 30 seconds twice a day. Gargle to relieve sore throats due to colds. DO NOT SWALLOW. Rated 5 out of 5 by Nana53 from No expensive to purchase I've been using Literine for abour 10 years.I love the way that it keep my mourh and breath fresh.I brush my teeth 3 times daily(after meal).My dentist is satisfied with the health of my teeth and hardly no tarter. Rated 5 out of 5 by tomotomo3 from Cooling Mouthwash This mouthwash leaves a cool and fresh flavour. Rated 4 out of 5 by Skayt from a better-tasting version of an old reliable Listerine has been a staple in our home for many years. None of us was fond of the original flavor, so it was a no-brainer to switch after we tried the Cool Mint. 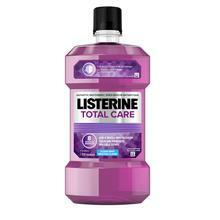 Rated 4 out of 5 by Loiloi from Refreshing This has been our mouthwash for years and the best of all. Rated 4 out of 5 by none from Leaves your mouth fresh This is one of my favorite mouthwashes... nothing else compares. People may think it's a little strong but I find it does the job well. Rated 5 out of 5 by Est92 from Minty fresh This mouth wash leaves my mouth feeling clean and fresh. No more bad breath! Rated 5 out of 5 by roytseng0327 from Love the mint refreshing feeling I love this mouth wash because of the minty refreshing feeling, it cleans the mouth from bacteria left behind.